The Rise of Mobile Gambling - What Does It Have to Offer? Back when online gambling had first started, we were mostly limited to playing from our home computers and, occasionally, from office machines, provided your boss was cool with it or wasn’t aware of what you were doing. Those early online casinos were quite limiting, in a sense that you’d usually have to put aside some time in your day to actually sit down and play. Everything said about online gambling applies to pretty much all things related to the internet. Reading your emails, checking your social media page, and chatting with your friends across the ocean was something you could do only do from your home or office. Smartphones have changed all this. Rapid development of mobile technologies gave us access to the internet around the clock, with all the pros and cons that come with that. The online gambling industry was determined to keep up with these changes, developing mobile apps and, later, creating fully functional mobile casino sites, making sure players would have access to their accounts 24 hours a day, seven days a week. Do We Really Need Mobile Gambling? Gambling is supposed to be a fun, entertaining activity that we engage in our spare time. From that perspective, “only” having access to your favorite online casino from your computer doesn’t sound that bad. In a way, it helps you limit the amount of time (and money) you spend gambling, which is definitely a good thing. On the flip side, however, the lack of ability to play from your mobile device is certainly limiting. What if you wanted to go to your local bar or pub, have a few drinks, and play a few spins online? Dragging your laptop along is definitely inconvenient, especially when you’re walking back home after a couple of pints. So, the case for mobile gambling is clearly there. Online casinos and game developers know what their customers want and try to cater to these expectations. 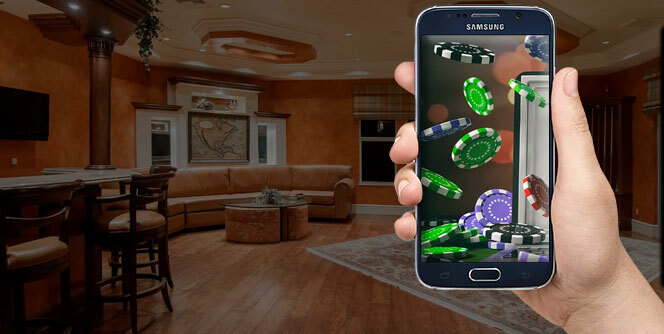 Online casinos and tech companies in the business have certainly taken advantage of everything new mobile technologies had to offer as they developed. Initially, casino apps represented the only viable solution, which was fine, but it did force people to download and install additional software on their phones, taking up often limited space. Plus, not everyone wanted a gambling app installed on their device for any number of reasons. So, when HTML5 technology was developed, it was a real game-changer for the online gambling industry. No longer did they have to develop separate apps for Android, Windows, and iOS users, nor did players have to install these apps on their phones and tablets. Instead, everything became available straight from a mobile browser. This change led to a big increase in the number of people choosing to play on the go instead of using their desktop computers, almost to the point where the mobile gaming sector is threatening to take the lead over its older brother. People love the convenience, the simplicity, and the fact they can get in a few quick spins even when they’re on a short lunch break at work or just waiting for a friend at a coffee shop. As long as you have an internet connection, you’re good to go. A case can be made for the surge of mobile gambling playing a big role in creating more issues in terms of problem gambling. 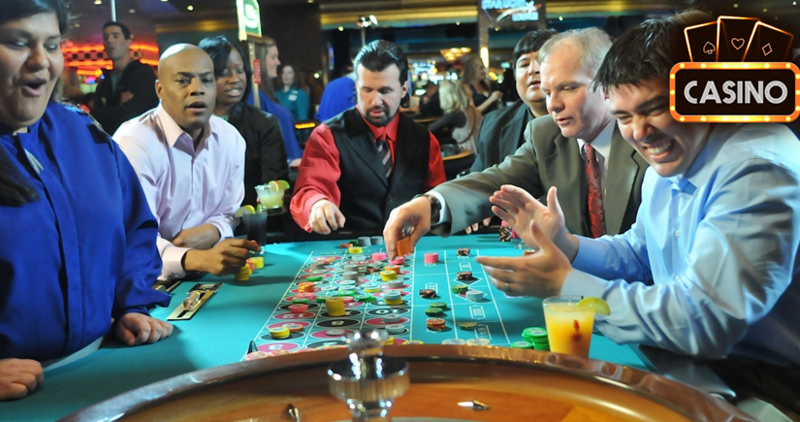 Back in the day, a problem gambling could at least stay away from land-based casinos; then came internet gambling and temptations became much more present and harder to resist. And, today, we quite literally have a casino in our pocket. So, for those struggling with staying within their limits and gambling more than they should, the availability of mobile gambling options could certainly represent a rather serious issue. In fact, a number of governments and different non-governmental organizations have repeatedly pointed this out and have offered various solutions, but none of them really address the crux of the problem. Is There Too Much Gambling out There? The question that is really being asked is if we have too much access to gambling these days? Mobile casinos, sportsbooks, bingo sites, and all other forms of gambling are now easily available and only a few taps away. Your phone lets you not only play but also deposit money and withdraw your winnings in a matter of minutes, so going beyond your means isn’t all that unfathomable. But, like everything else, the online gambling industry is just rolling with the trends. We are also able to buy things online using our mobile phones these days and yes, people have been known to spend money on things they didn’t really need out of sheer boredom. The development of technology creates more exposure across the board, which means that we have to be more careful and more responsible individuals, especially with things like gambling. We could go very deep with this topic, to the point where we could ask if we need gambling at all, but that would be very far from the original topic of this blog and it would also turn it into a philosophical discussion without a definitive answer. What Does a Good Mobile Casino Offer? Most games produced today are designed with the mobile gambling in view, so they work equally well on computers and mobile phones. Older titles created by large companies have also largely been re-done so they also work on various handheld devices, making sure players get access to all the games they love and not feel frustrated because some of their favorite games aren’t available in mobile versions. In fact, over the last couple of years, many live casino game providers have also started to implement mobile technologies, so you can now even play live roulette, blackjack, and other games on your phone. Some of them have even been made specifically for mobile devices, with special user interfaces for smaller screens and different camera angles to ensure a great on-the-go experience. 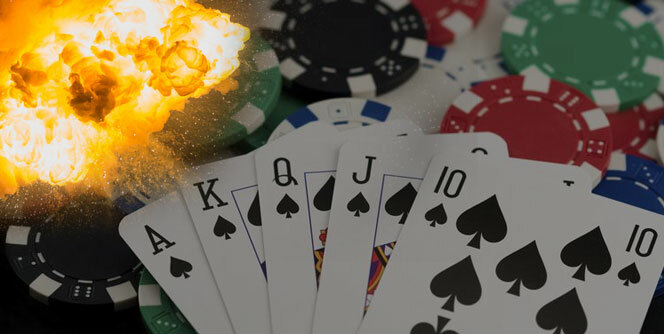 Apart from this, mobile casinos also offer possibilities to easily fund your account or withdraw any winnings, rendering computers almost completely unnecessary for online gambling. This is probably why there are more and more people playing almost exclusively from their mobile phones. It is fun, simple, and ridiculously easy. Where Does Mobile Gambling Fall Short? Despite the development of technology and high-power smartphones we have today, there are still certain areas where mobile gambling still falls short in comparison to playing on your computer. For one, you just can’t beat great visual effects of all the new slots as they play out on your big screen. The experience will just never be the same on your phone with a small, limited screen area. The same probably goes for audio effects, although some phones do have great speakers. The fact of the matter is, new technologies have also given game developers so much to work with and we’ve been seeing some truly impressive games with audio and visual effects that are truly stunning. Mobile casino game versions just can’t produce the same kind of experience. 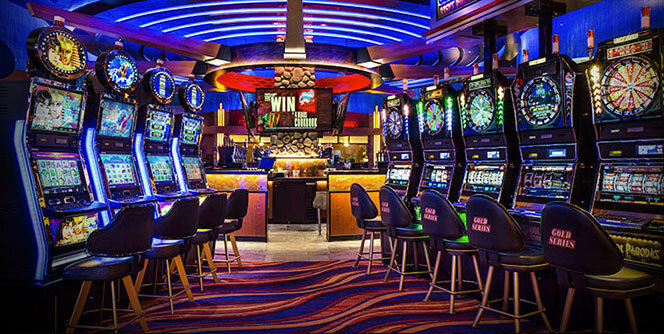 Of course, all of this may be secondary to most people who primarily enjoy casino games for their primary purpose (i.e. the ability to win money) but it is something to consider in the whole story about the rise of mobile gambling. Moving forward, we can expect more complex and more visually stunning games coming our way and even the inclusion of VR technology into the mix. This is where computers are likely to hold their own and stay relevant for at least some time. With the gambling industry putting a lot of effort to create really engaging and appealing games, developers will need every bit of power they can get from technology and mobile phones and tablets just aren’t there yet. Although there are some concerned voices over the whole mobile gambling and addiction issues, mobile casinos are clearly here to stay. The whole society is going mobile all over the place so it is hard to imagine why the gambling industry would ever want to take a different path. 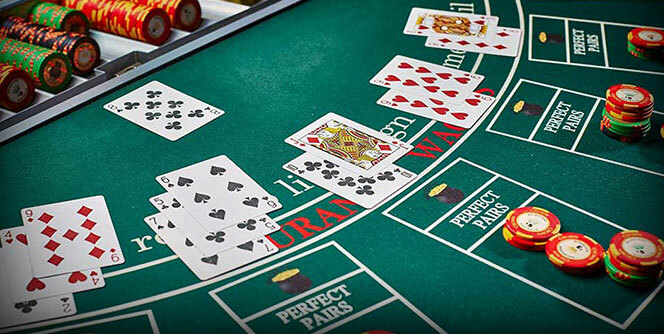 People expect high level of convenience and availability from all segments of service and hospitality and industry, and online gambling is a bit of both. The number of people playing from their mobile devices will continue to rise moving forward. That said, many new games hitting the market are still better suited for play on desktop computers because this is where their full potential really comes through. A lot of work and effort is put into creating these new, stunning slot machines, and you just don’t get the full feel of the game on your small-screen phone. In the end, having a casino in your pocket isn’t a bad thing as long as you stay in control and only play within your means. It is actually pretty convenient and it is a great way to kill off a bit of time (and potentially win some money in the process). And, for those struggling with gambling, there are actually a couple of great tools now available on the market that will let you block your phone from accessing any and all gambling-related sites, which actually do a great job, so you can always check those out and make any temptation go away instantly!